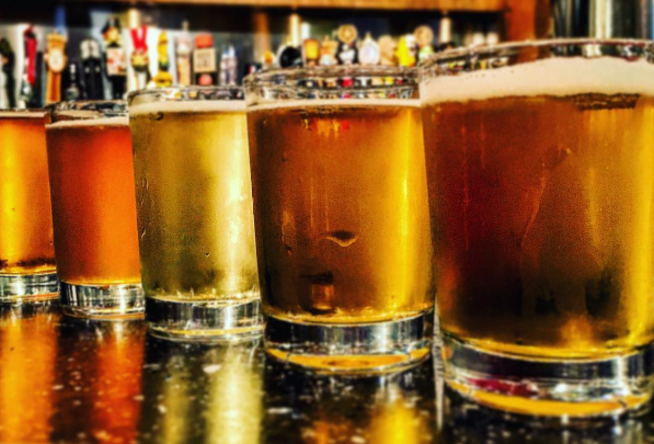 Craft beer flights are an easy way to dip your toe into beer tasting. If you don’t know which style of beer you like, flights are really great for that. The best part? 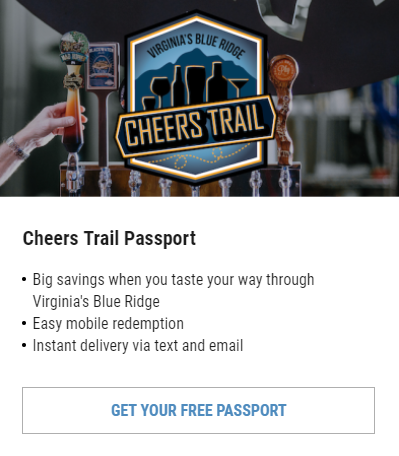 There are restaurants in the Roanoke Valley in Virginia’s Blue Ridge that offer flights, saving craft beer newbies from the pressure of a brewery visit. First, what is a flight? It&apos;s four to six small glasses of beer arranged from lightest to darkest in color for the purpose of “warming up” to the robust flavor and density of the darker beers. Small samples allow you to taste test a variety until you hopefully find one or two that pleases your palate…all without getting too inebriated. Try a flight at one of these area restaurants for a great meal, too. An original farm-to-table restaurant before such a thing was hugely popular, Local Roots takes local a step further by offering craft beer. Ask for a four-, six-, or eight-beer flight to get a taste of a few carefully curated brews. Update: Bootleggers Cafe is no longer in business. With more than 50 craft beers to choose from, having the ability to sample four or six of them in a flight is a fun possibility. Choose one of the fine barbecue options, chicken, burger, pasta, salad, or seafood, but please don’t skip the brownies. 21 big screens and nearly twice the taps are just a few of the reasons Town Center Tap House is “where good friends go.” Giant salads, sandwiches, and burgers are the others. You will not go home hungry or thirsty when you choose Town Center Tap House. Start with the beer cheese appetizer and then get into the five-beer flight to find a favorite. Once you’ve nailed it down, ask your server which dish pairs well with it. Will it be the fish tacos or maybe the jalapeno cheddar meatloaf? Nah, go straight for the plate-size calzone and get ready for a feast. Named for the beloved Virginia Tech head football coach Frank Beamer, Beamer’s 25 is a casual restaurant and bar with about 25 craft beers on tap, all up for flights. Choose your four-, five-, or six-beer selection and then consider Frank’s Fries to munch on and a Smokey Burger to follow. With the French Quarter of New Orleans in mind, The Quarter brings a taste of Bourbon Street to the Star City with etouffee, shrimp and grits, jambalaya, gumbo, alligator, and po’ boys, of course. And then there are the beverages to consider. Find a new brew to love when you spring for a craft beer flight. There must be something that pairs perfectly with creole and Cajun, right? Sip until you find it. There are 31 beers on tap at Wasena City Tap Room. Line up a few for sampling and then choose between a robust menu of burgers, pizzas, sandwiches, salads, tacos, and burritos. Virginia craft beer, domestics, and imports are on tap at Annie Moore’s Tavern. Ask for the four-beer flight to go with your tavern nachos, then dive into the Irish menu for hearty good eats like shepherd’s pie and corned beef & cabbage. Craft is the word at Fork in the Market, as in craft wood-fired pizza and of course, craft beer. Try a flight with your Mac Daddy pizza, an unbelievable combination of baked macaroni and cheese with bacon and even more cheese layered on top. It’s a pizza you will never forget. 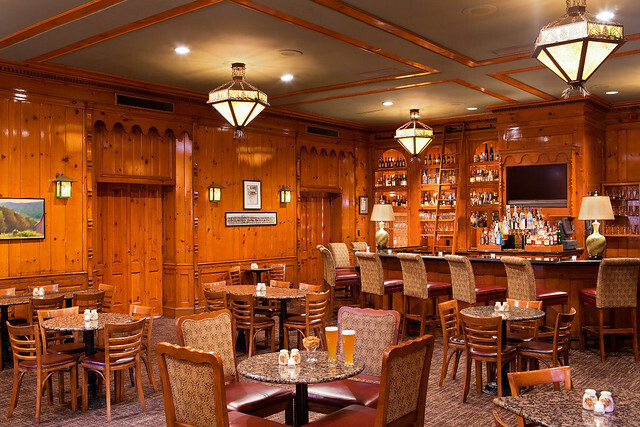 Light fare is offered at The Pine Room Pub in The Hotel Roanoke & Conference Center. It’s a great place to begin your evening with small bites - like the house made parmesan meatballs - and a flight of beer before enjoying a later dinner and night on the town with friends or your significant other. Find more craft beer adventures at a local brewery or somewhere surprising. 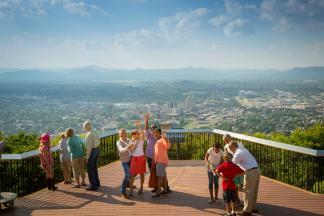 You can also check out our Restaurants section to learn more about the local dining scene in Virginia&apos;s Blue Ridge.